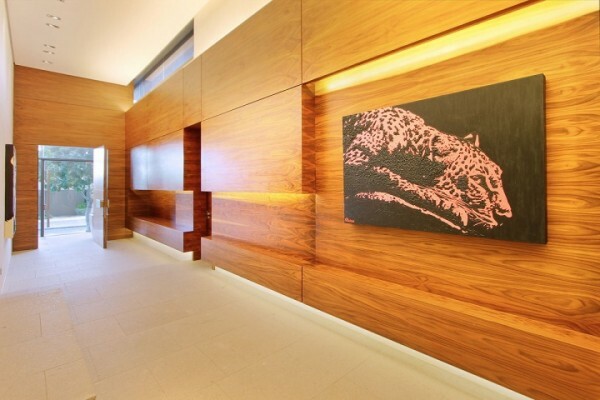 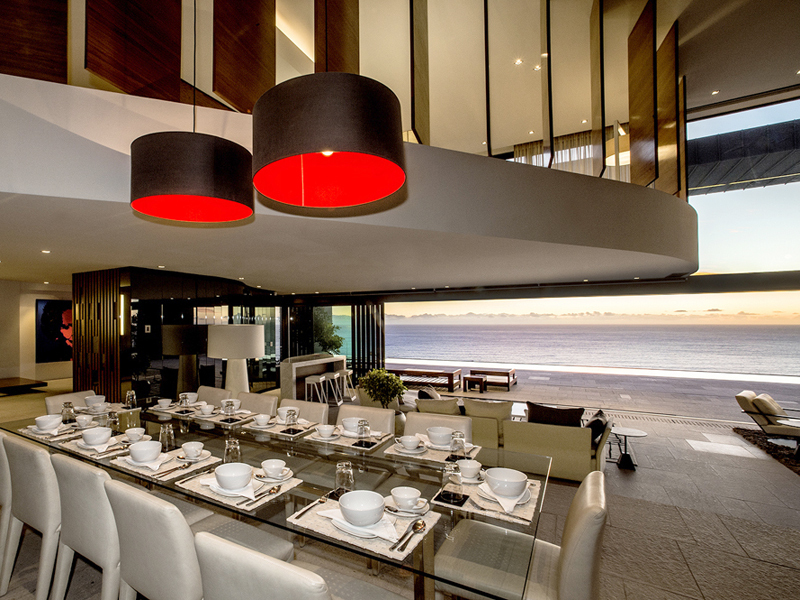 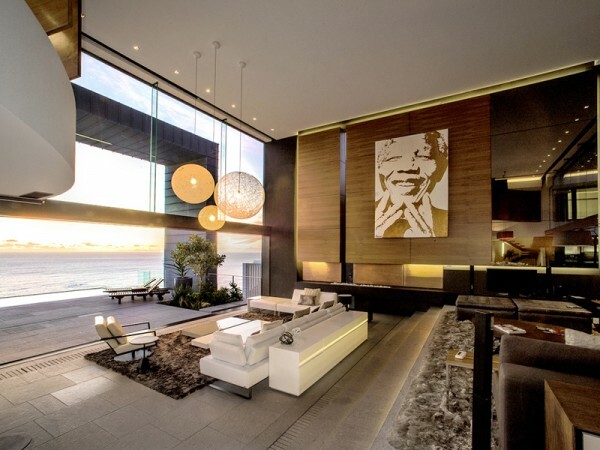 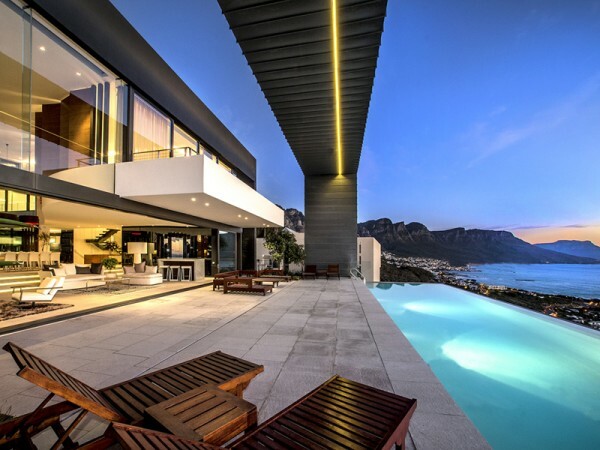 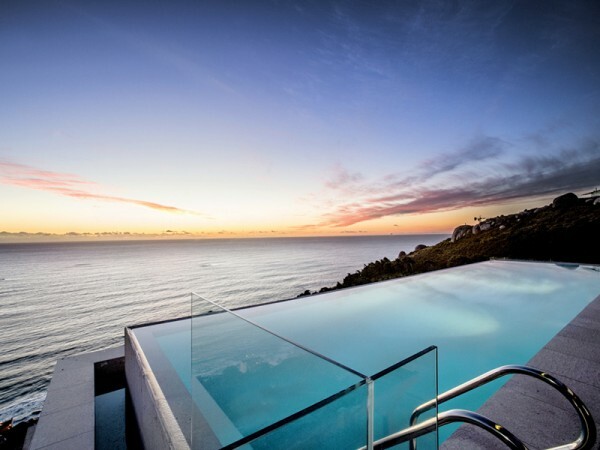 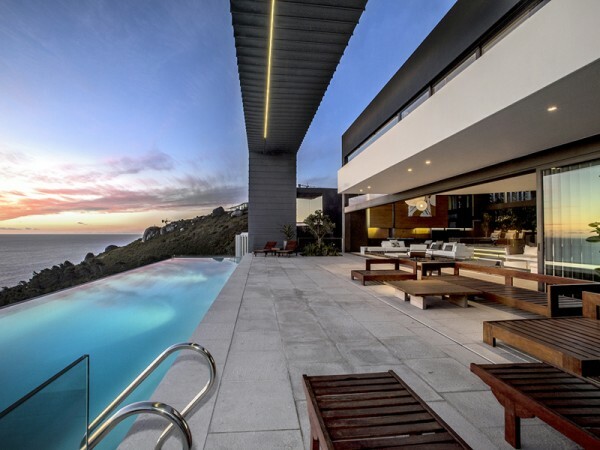 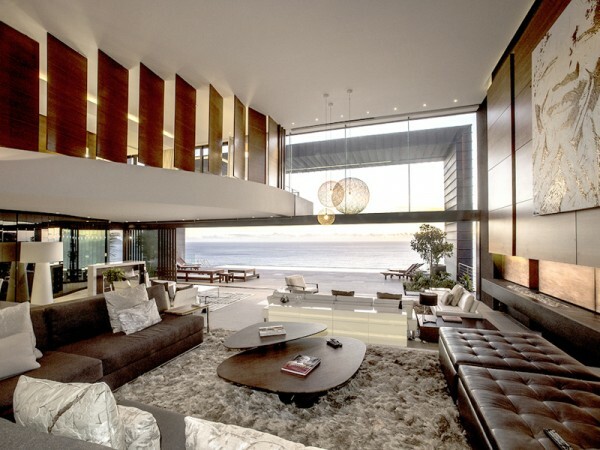 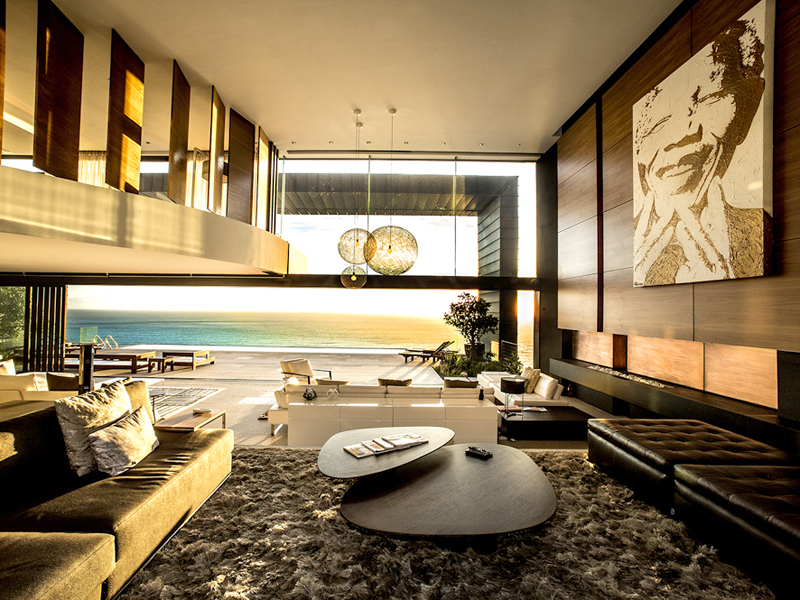 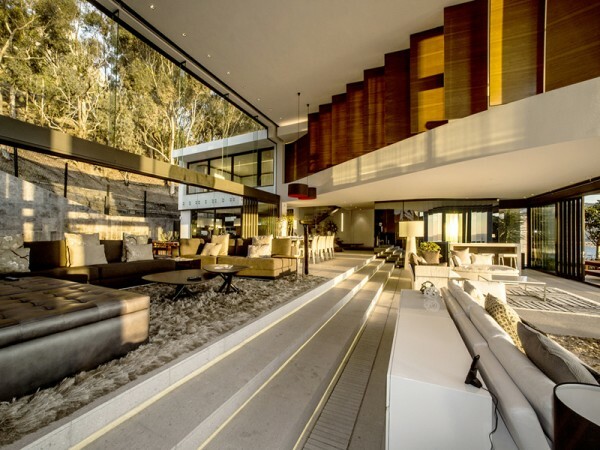 Nestled in the Lions Head Nature Reserve, Nettleton 199 has captivated audiences in the blogosphere and beyond with a seamless flow between the natural and the modern that can only be found in the work of architect and designer, Stefan Antoni. 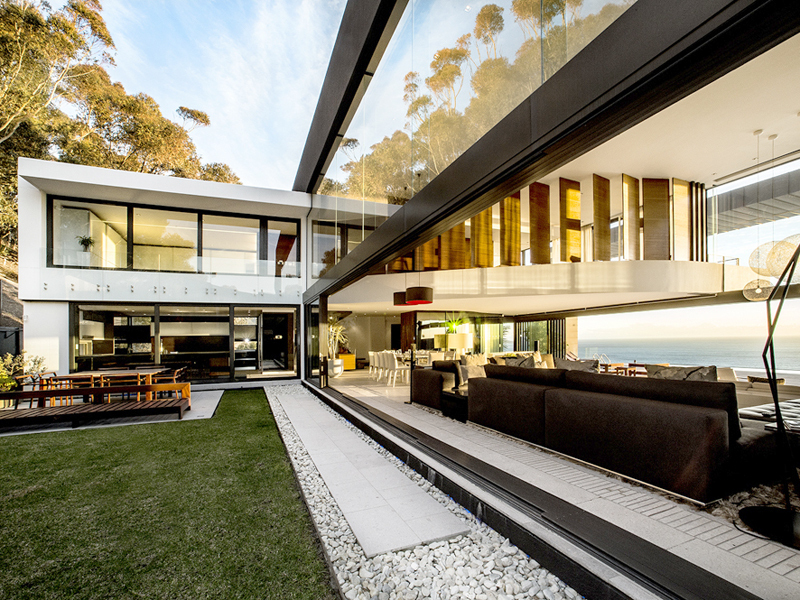 This hugely popular house has wooed readers the world over when it was first noticed. 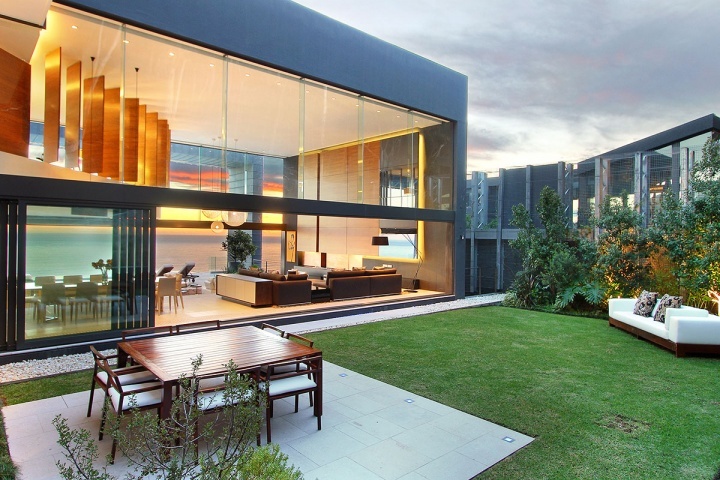 Now, it's up for sale and ready to make yet another impression. 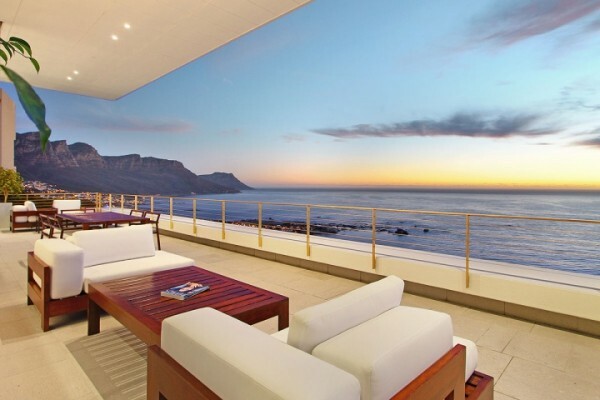 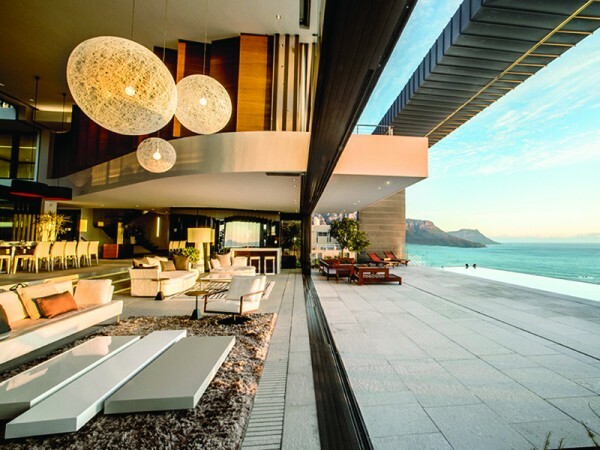 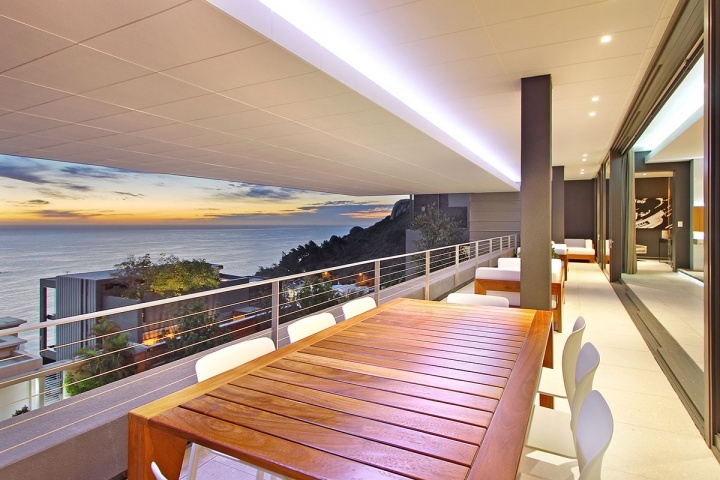 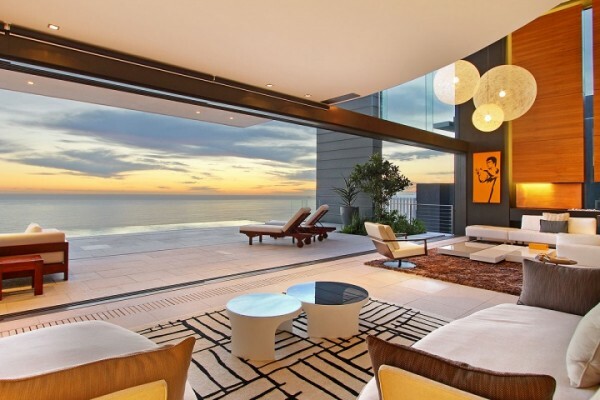 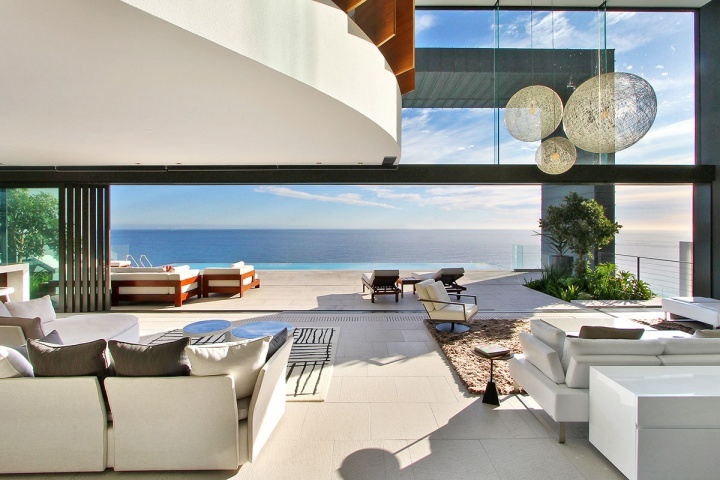 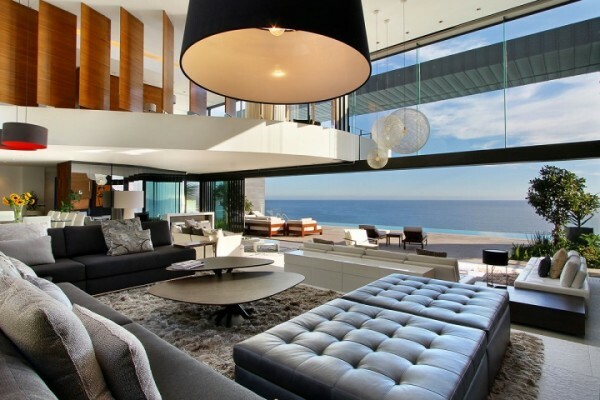 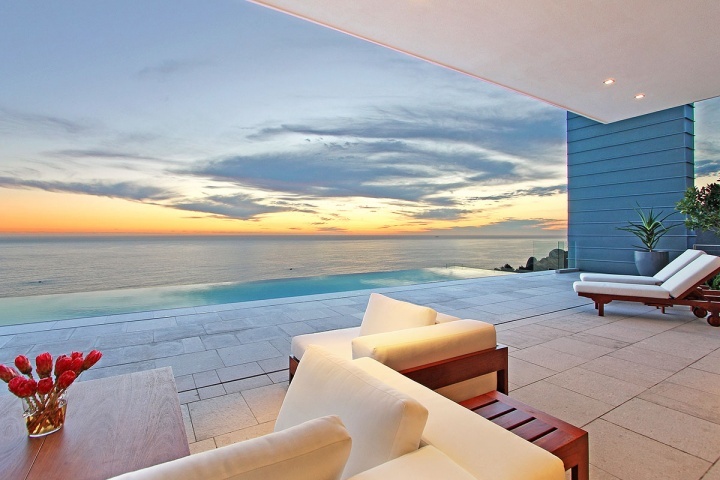 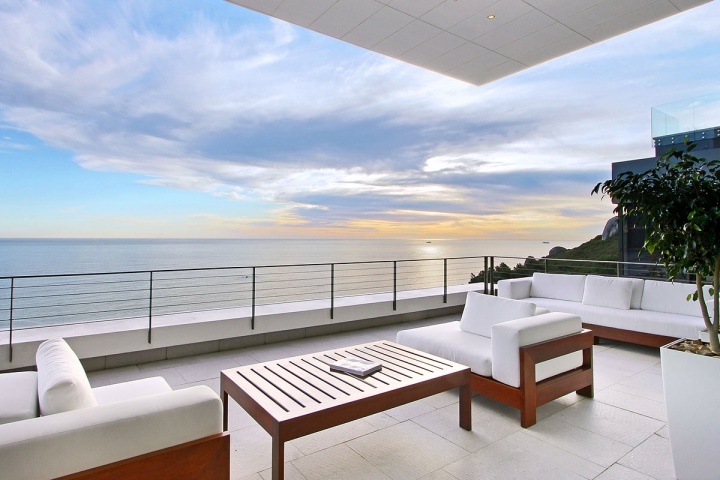 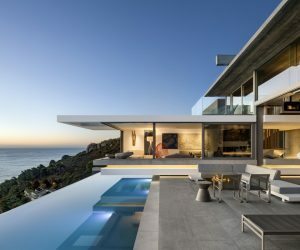 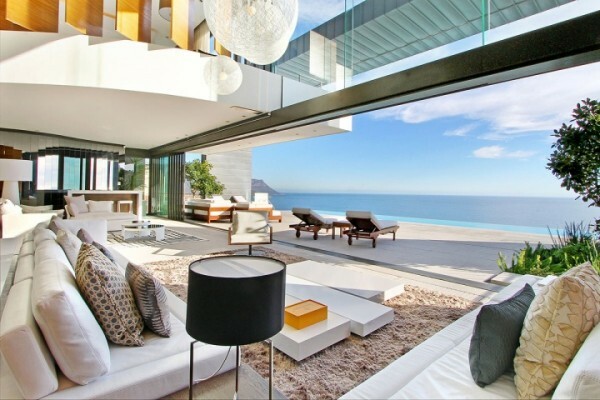 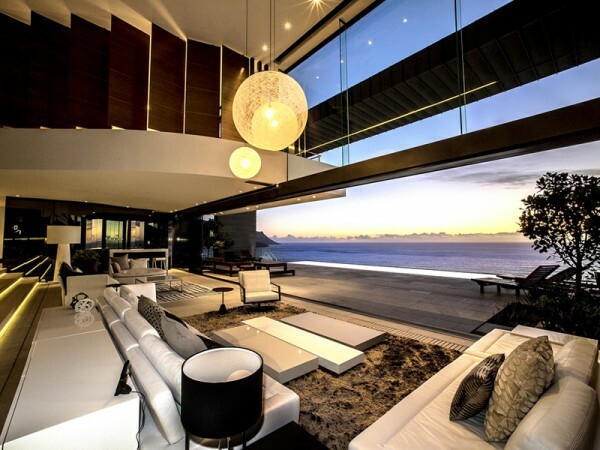 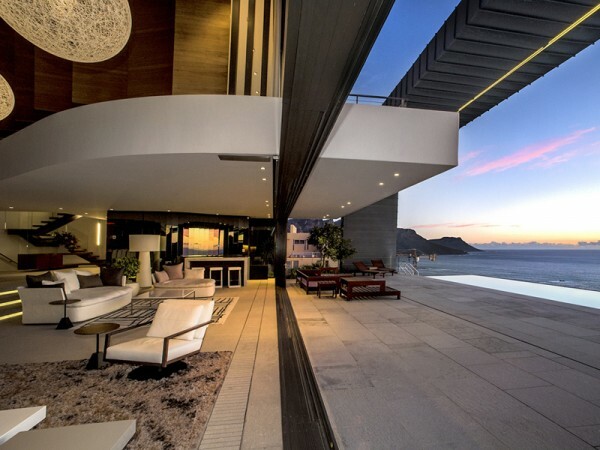 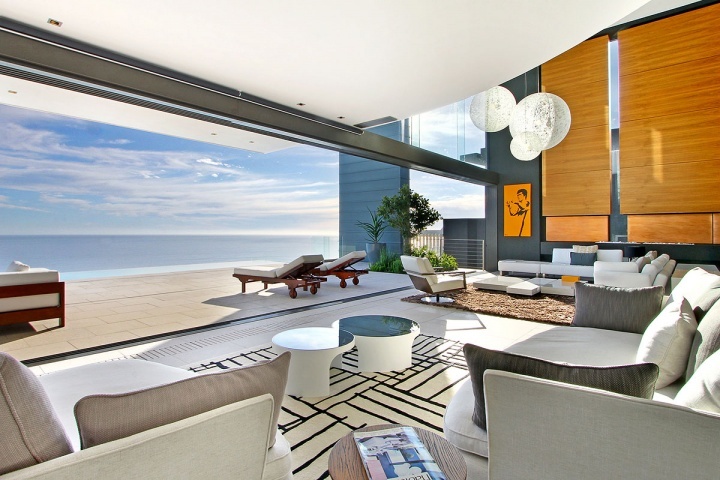 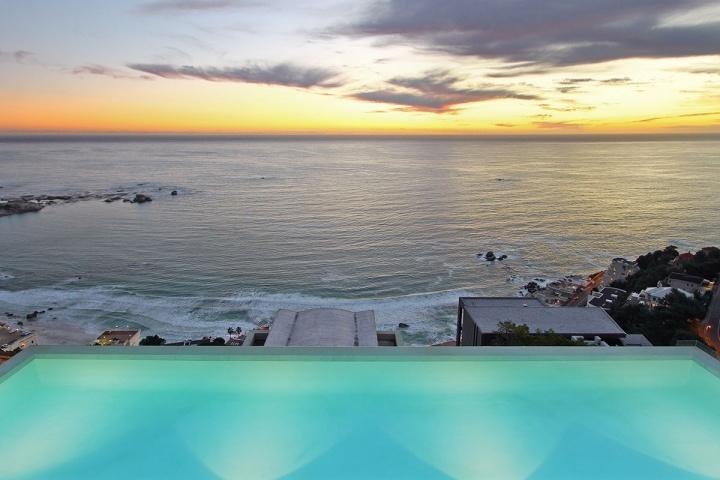 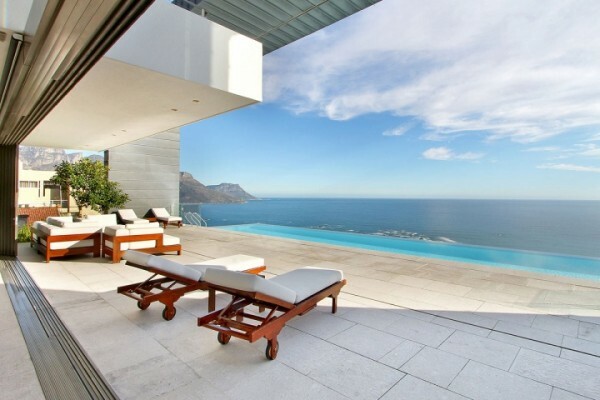 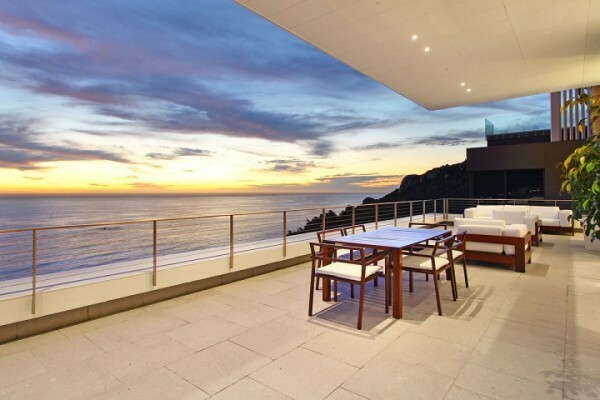 The home sits on a panoramic view of Clifton's four famous beaches and a soothing Atlantic, with a mere 50 homes to call its neighbor in the pristine cul-de-sac of Nettleton Road - South Africa's most prestigious address. 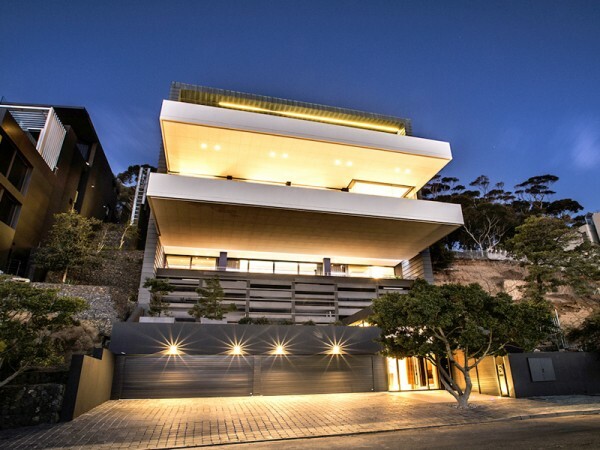 In the foyer, a glass elevator and set of sweeping stairs guides you to an entertainment level that offers elegant walnut paneling, exquisite gallery space, and 6 meters of double volume space. 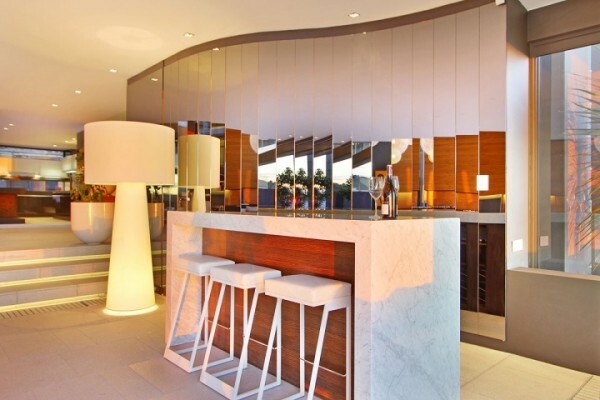 It's exceptional for any host or hostess, with separate direct access for a butler and staff at the courtyard level for additional privacy and convenience. 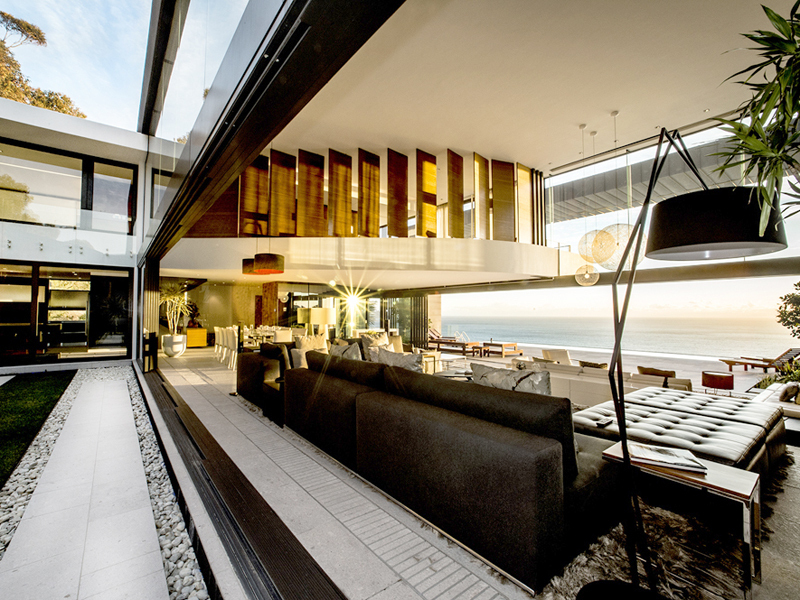 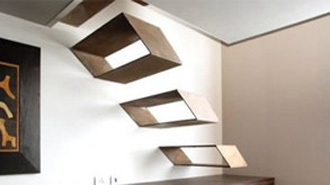 There’s even an entire open level that can be suited to whatever your heart desires: a gym, an entertaining space, or a gaming room. 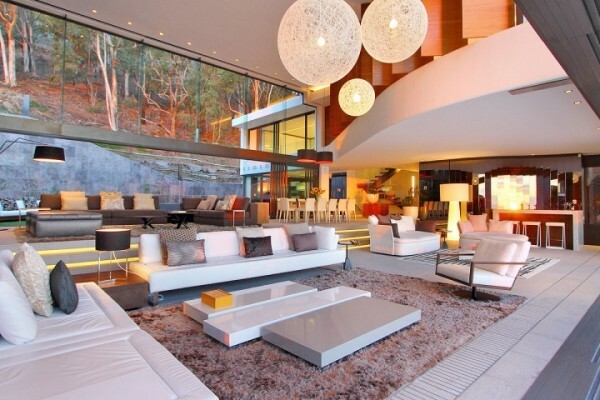 Love movies? The comfortable and elegantly appointed cinema room will become your own private theater. 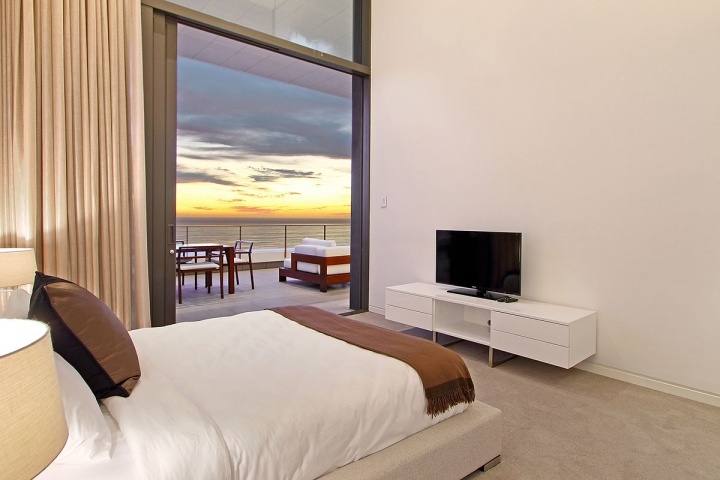 It offers five bedrooms: A master and second bedroom, each with king beds and en-suite baths and showers, and a third, fourth, and fifth each with queen beds and en-suite baths and showers. 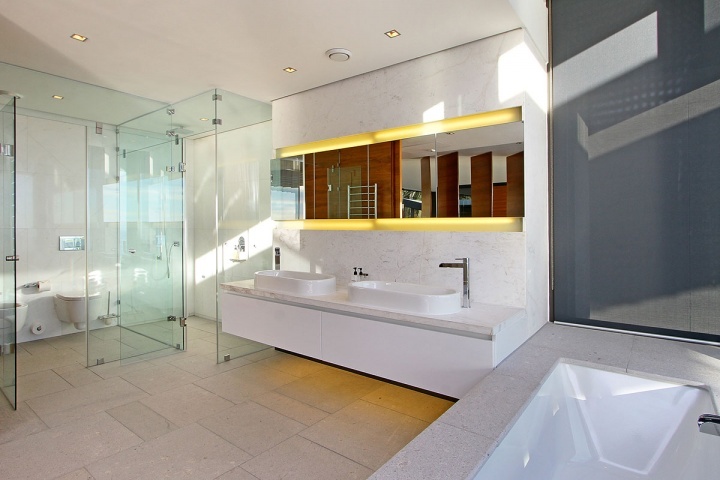 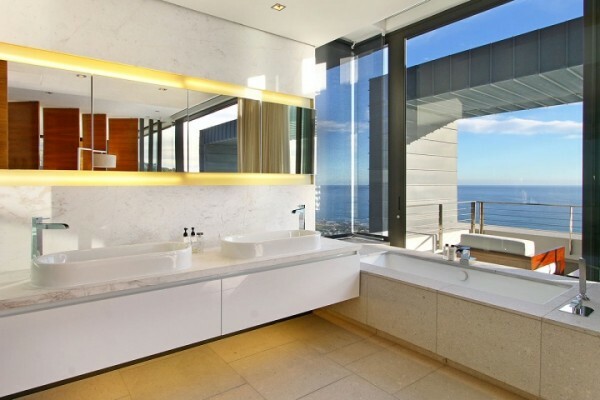 All bathrooms feature luxury amenities and heated towel racks for additional comfort. 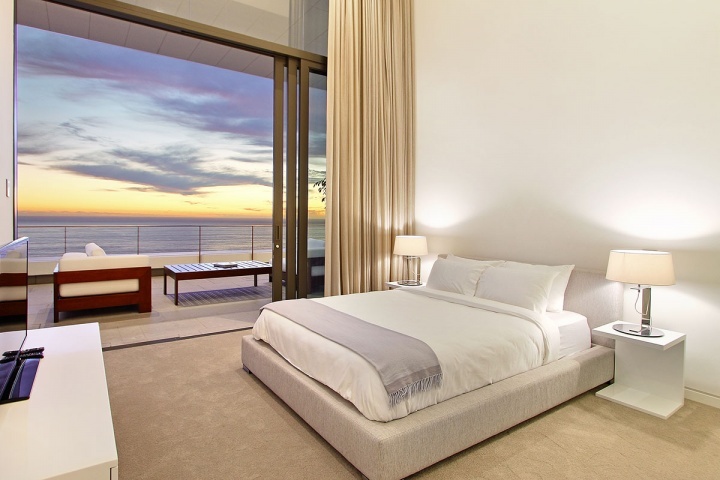 Above the entertainment level of the house sits the lavish Presidential Suite, with a master bedroom, ocean-facing bathroom, and luxurious dressing room. 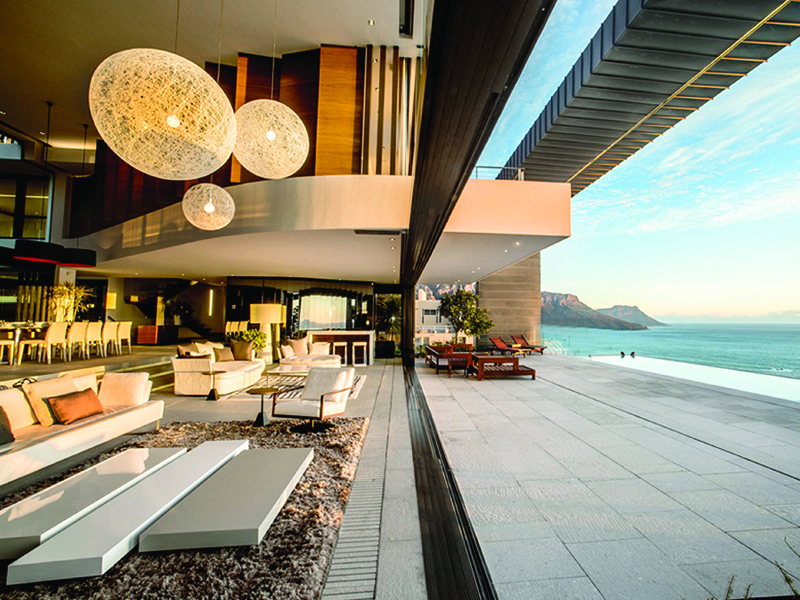 A private den offers a full view of Clifton’s beaches in an opulent mix of stone, wood, and marble. 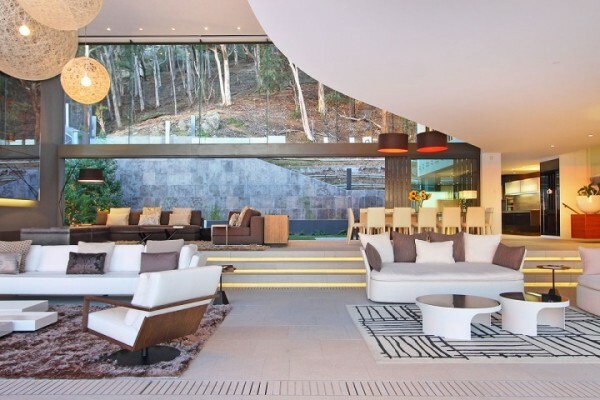 At this level you’ll also find a serene garden positioned against a mountain backdrop. 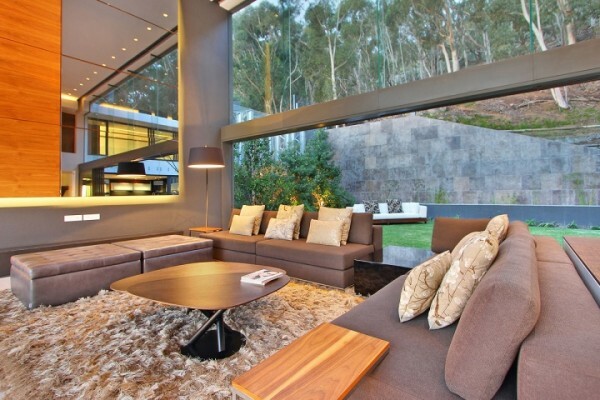 A trickling waterfall offers a calm oasis in the space. The sheltered garage of Nettleton 199 can accommodate up to four large vehicles, or a selection of motorcraft or even a small boat. 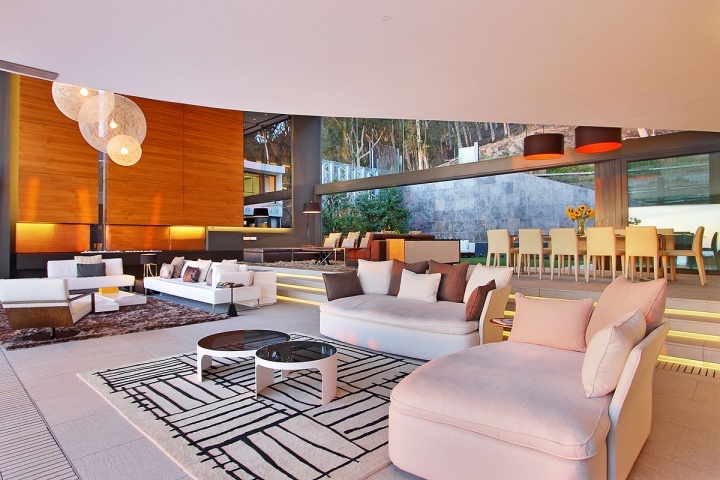 Ample parking off-street for guests, two guest bathrooms, two kitchens, two lounges, and family room makes this property an ultimate host. 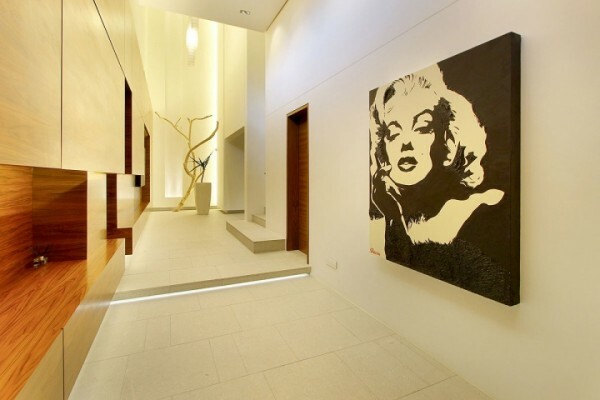 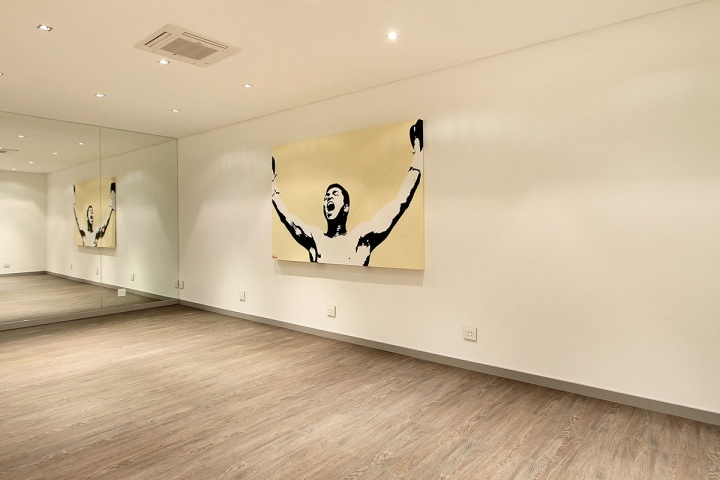 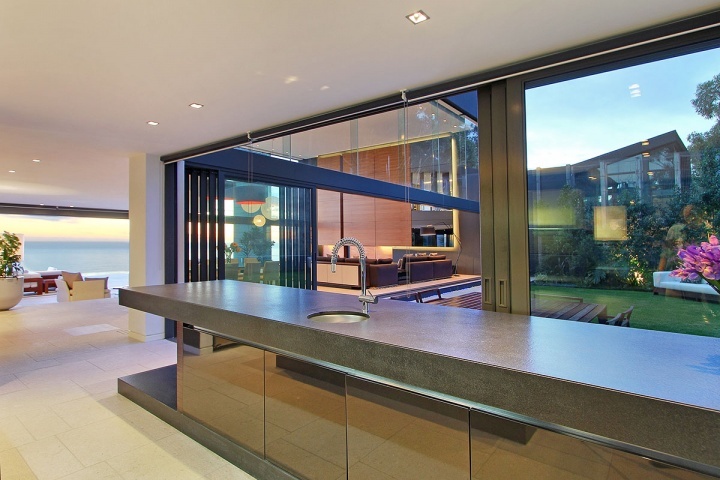 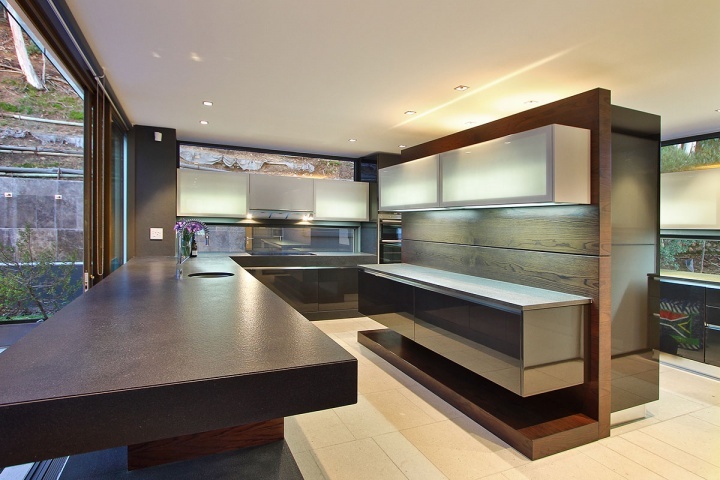 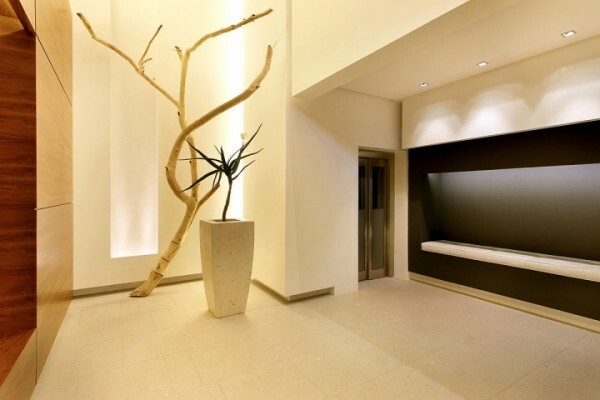 Never missing a detail, this property also showcases state of the art features for both convenience and safety including fully automated curtains and lighting systems, elevator access to all floors, electric fencing and armed response team, and a state of the art alarm system with CCTV surveillance. 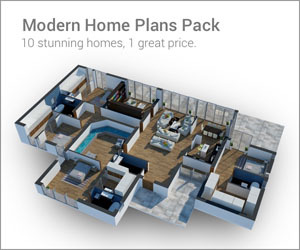 A laundry room, control room, and storage room offer utility. 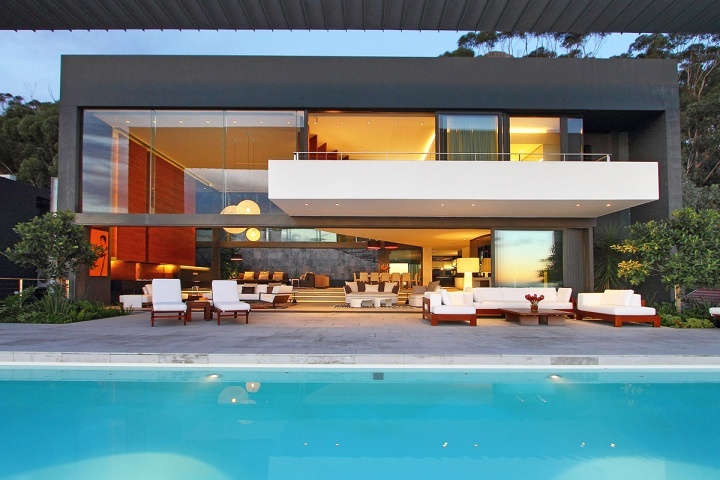 The house is listed on Sothebys & Capsol.